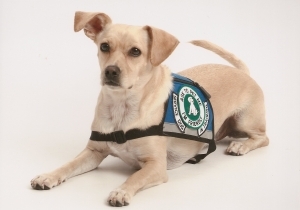 Psychiatric service dogs like this one go through extensive training that isn’t required of ESAs. Have you ever wished your furry friend could tag along to lunch or on errands? With the right certification, they may be able to. The recent rise in registered emotional support animals is causing quite a stir—is it necessary or a sham? No matter what kind of pet you have, one thing they all share is their loving ability to cheer up a bad day and make good days better. Now, you can make their companionship official. A therapist can “prescribe” a pet’s company to improve one’s mood, and with their note and a registration fee, your pet enters a database of certified emotional support animals. What do you think? Would you consider certifying your lovable pet as an ESA?